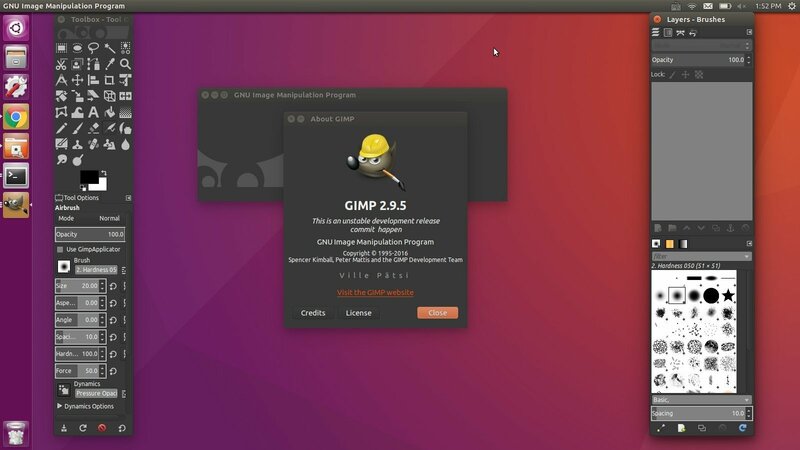 GIMP, one of the most popular Linux image editor, has reached the 2.9.5 development release, which will finally lead to the next stable GIMP release 2.10. While Ubuntu 16.04 offers GIMP 2.8.16 in its main archive, you may either upgrade to the latest stable release, or try the 2.9 development release by following this simple tutorial. Sampling example 2 to see the high quality of the new samplers. W: The repository ‘cdrom://Ubuntu 16.04.1 LTS _Xenial Xerus_ – Release i386 (20160719) xenial Release’ does not have a Release file. is there something I am doing wrong? 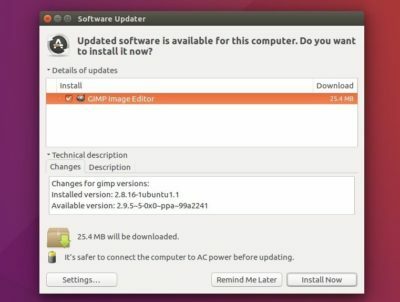 trying to install GIMP after a new install of Ubuntu 16.04. Go to System Settings -> Software & Updates -> the first Ubuntu Software tab, uncheck the box under “installable from CD-ROM/DVD”. I noticed that option in previous Ubuntu (and Zorin) versions, but this time there was no box to uncheck. Could there be something wrong with the ISO of 16.04LTS? Then comment or remove it and save the file. well, this is strange. After installing cairo-dock and rebooting into 16.04, GIMP and VLC both installed immediately. Not sure why. I checked the sources list and it is the same as the one you list. This is a new install of 16.04 along side Zorin 9. The Zorin installed everything easily and quickly, including GIMP. Not sure why the 16.04 is being clunky. But… on to getting 16.04 to stay connected on WIFI (something Zorin has had no trouble doing either). After that, re-install GIMP 2.8 via the stable PPA. Thanks for the article. GIMP can do a lot for front-end developer who wants to use Linux as their working OS.